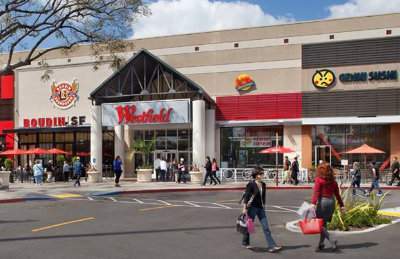 (Santa Ana, CA) Today, Westfield MainPlace Mall has announced they will be holding an active shooter drill on Wednesday, October 22, 2014. The drill will allow participants from the mall, the Santa Ana Police Department, and the Orange County Fire Authority to work together during a realistic active shooter scenario. 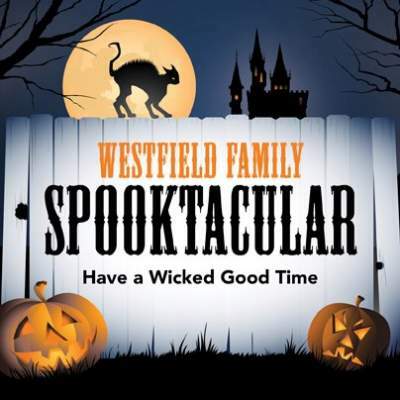 The purpose of the drill is to give mall employees and the police and fire departments an opportunity to exercise their response plans and procedures in the event of an active shooter in the mall. 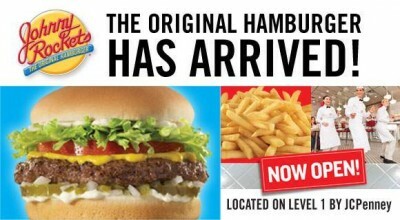 The Chivas USA are coming to Santa Ana! 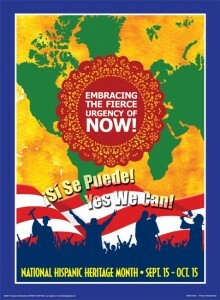 Wanna bend it like Beckham? 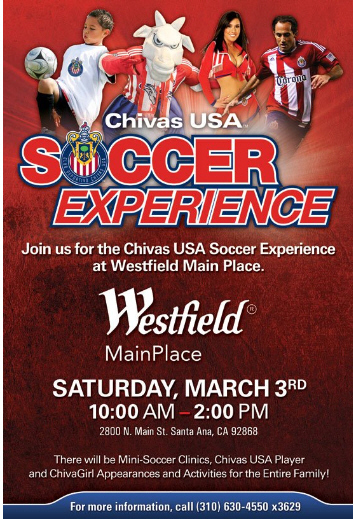 Join the Chivas USA soccer club this Saturday, March 3rd from 10am-2pm at the Westfield MainPlace Mall, in Santa Ana, for FREE Mini-Soccer skills & drills clinics; appropriate for kids of all ages and abilities. Radio Disney AM 1110 wants you to experience the “N.B.T” Next Big Thing artists in concert! 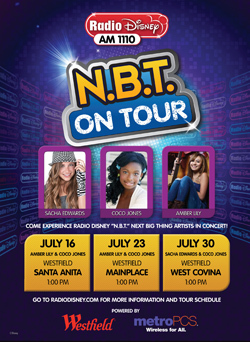 Radio Disney AM 1110 Los Angeles, invites families to a free performance by “N.B.T.” (Next Big Thing) artists Coco Jones & Amber Lily at Westfield MainPlace Mall, on July 23 at 1 pm.